Thank you to singer-songwriter Ryan Cabrera who hosted an online fundraiser for The Avril Lavigne Foundation which raised over $25,000! Thank you Billboard for supporting our #HeadAboveWater T-shirt Campaign. See Avril talk about how writing #HeadAboveWater was influenced by her struggle with Lyme. Read the press release here and learn more about GLA’s work here. OVER $175,000 RAISED THROUGH AVRIL’S BIRTHDAY CAMPAIGNS FOR LYMELIGHT FOUNDATION! "AVRIL NIGHT" WITH THE BEACHES! A benefit concert hosted by Canadian bands The Beaches and The Elwins raises over $10,000 for The Avril Lavigne Foundation. 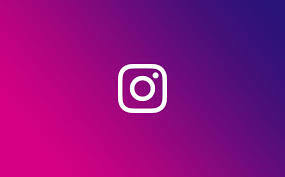 We've got Instagram! Follow @TheAvrilLavigneFoundation to learn more about Avril's charitable work and how you can help. Avril attends Race to Erase MS ' Love to Erase MS' gala. THE AVRIL LAVIGNE FOUNDATION SPONSORS 17 KIDS TO ATTEND EASTER SEALS CAMP HORIZON IN ALBERTA, CANADA! As an official “Avril Lavigne Rock Star Camp”, Easter Seals Camp Horizon is Alberta’s leading provider of outdoor recreation programs for children and adults with disabilities. They offer residential summer programs, therapeutic retreats and respites and serve over 1200 children, youth and adults with disabilities and serious medical conditions. Their specialized programs are developed each week and tailored to each group’s unique needs. It’s no wonder that when we received the request to help struggling families afford camp, in a year with many struggles for Alberta including the Fort McMurray fires, a declining energy sector and many local charities unable to make their annual donations, we jumped at the chance to support them! We are so happy we were able to support 17 kids and their families and to make their camp experience full of empowerment, knowledge and freedom gained in outdoor pursuits. Click HERE to view their camp experience! CHICAGO, Aug. 10, 2015 /PRNewswire-USNewswire/ -- The Avril Lavigne Foundation and Easter Seals announced that CAMP S.T.A.R.S., a scholarship program that gives low-income children with disabilities the chance to attend summer camp, will continue for a third consecutive year. Launched in 2012, CAMP S.T.A.R.S. - Summer Time Avril Rock Stars - was inspired by Avril Lavigne's time visiting and supporting Easter Seals Summer Camp programs throughout the U.S. and Canada, as well as her personal experiences growing up. "Since starting this program, we've helped more than 100 children and young adults to attend summer camp to make lifelong friends, have fun and learn new skills," said Avril Lavigne. "I created the Avril Lavigne Foundation to help people find joy and acceptance no matter what their circumstances, so I'm proud to support this program with Easter Seals again this year." CAMP S.T.A.R.S. will continue at five Easter Seals camps this summer across the U.S. and Canada, including Easter Seals Southern California, Easter Seals Washington, Easter Seals North Carolina & Virginia, Easter Seals Greater Houston, and Easter Seals Alberta, Canada. The Avril Lavigne Foundation will fund camp scholarships for 50 children during the summer of 2015, most of whom live at or below the poverty level and would otherwise not be able to attend camp. "I have attended camp 5 years now, and I learn a new activity every year," said Jordan, age 16, who attends Camp Horizon in Alberta, Canada. "I might be smiling in every single picture of me at camp, because that is how I feel!" "We're thrilled that Avril is continuing her support of our summer camp programs," said Randy Rutta, president and chief executive officer of Easter Seals. "Attending summer camp is a rite of passage for kids. Avril's personal commitment to ensuring that all children have every opportunity to attend and enjoy all the fun and memories that come along with camping is quite admirable. She knows how important inclusion is and Camp S.T.A.R.S allows children with disabilities to do just that!" Award-winning singer, songwriter and philanthropist Avril Lavigne created The Avril Lavigne Foundation in early 2010. The Avril Lavigne Foundation R.O.C.K.S. : providing Respect, Opportunity, Choices, Knowledge, and Strength in support of children and youth living with serious illnesses or disabilities. The Foundation partners with leading charitable organizations to design and deliver programs, raise awareness and mobilize support for children and youth living with a serious illness or a disability. For information please visit The Avril Lavigne Foundation online at www.theavrillavignefoundation.org, www.facebook.com/theavrillavignefoundationor www.twitter.com/avrilfoundation.